A recent interesting activity assigned to me at work, once again brought out the mechanic in me 🙂 I’m the sort of guy who likes to get his hands dirty with a various tools to get my tasks done and I was excited and rearing to go! Task : Query the coverity server after every coverity build and display a table of outstanding issues (consisting of high, medium & low impact defect count in various modules) within the Jenkins email notifications. I quickly jotted down my plan!! Query Coverity Server to get the list of outstanding issues. Append table & send mail! Though the task on the outset looked like a fairly simple one, on closer evaluation it seemed that there were some challenges in it. For a start the coverity server did not have a good query mechanism provided by means of %installation_folder%/bin/cov-manage-im.exe. The query gave us a list of issues with 8 fields i.e stream name, cid, checker, status, classification, owner, severity & action. There was no field which stated the ‘Impact’ of the issue! How could this happen I thought. I tried querying the server in many different ways. No good! To make things worse I was not able to get the filenames in the same query along with 8 other fields. 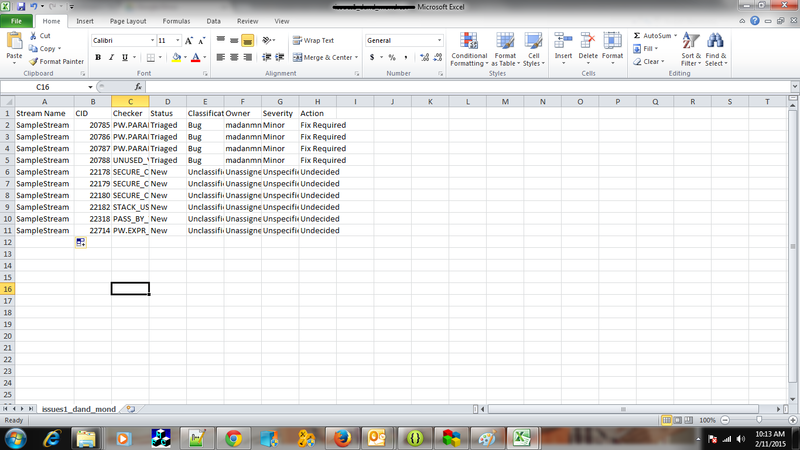 Query 2 : Gave me a list of filenames one below the other. From csv1(Query 1) we get a Column named “Checker” with various fields in it. There is a reference document provided in C:\Coverity\Coverity Static Analysis\doc\en\cov_checker_ref.pdf. This gives a mapping of the impact for the given Checker Field. So with the help of these 3 files I was able to create a summary report something like this. I filled in the Legacy defects part and this will serve as a benchmark for further builds. Run queries to get 2 csv files. 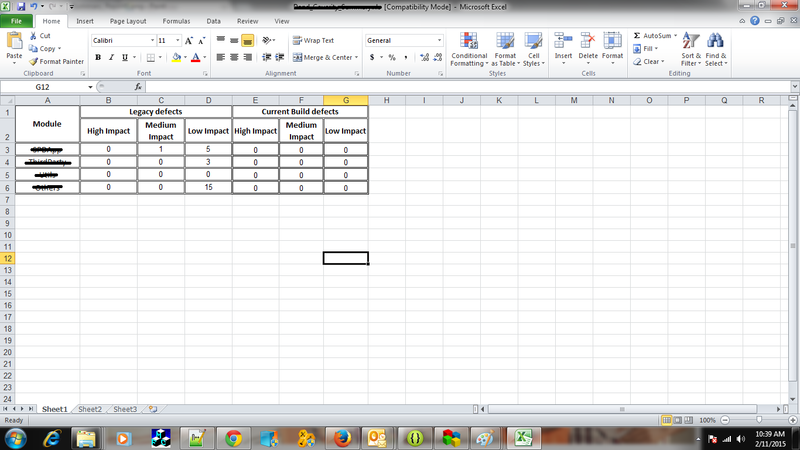 Use some logic to get the final count of high impact, medium impact and low impact issues. 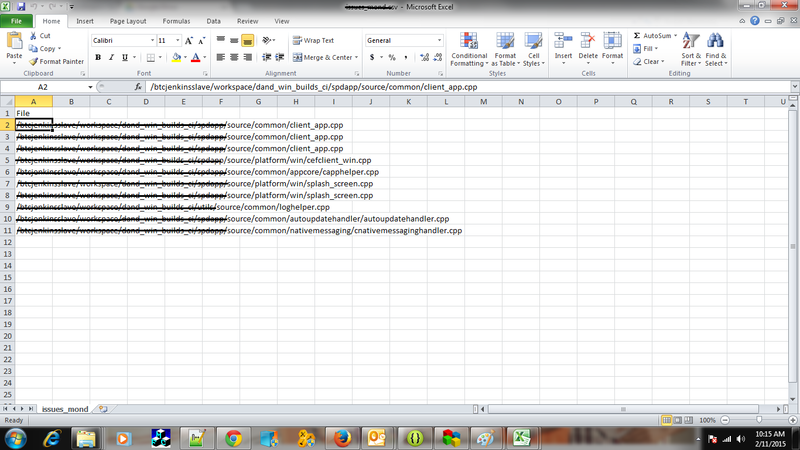 Populate the summary report which for me was in excel(xls) format. I assure you that the learning curve is higher when you figure out how to do these tasks…Each in one’s own style will be able to innovate and find awesome solutions :). You’re generous feedback and comments are always welcome. If you run into any roadblocks do let me know. This post is about a sickening error I encountered which literally stalled my task for a few days. Sickening Solution: Update Coverity Static Analysis to the latest version !!! . It so happened that I had Coverity Static Analysis version 5.1.x on my machine & the coverity server was upgraded to the latest version which needed me to have version 6.5.3.